There are many reasons to be dismayed by the error-filled and managerially incompetent rollout of the federal health insurance exchanges that are in many ways the linchpin of President Obama's Affordable Care Act. I sympathize with commentators who have called for the resignation of Department of Health and Human Services Secretary Kathleen Sebelius. It's hard to imagine Franklin Roosevelt not firing someone in his Cabinet had Social Security stumbled this badly out of the gate, or Lyndon Johnson not causing officials' heads to roll if the launch of Medicare and Medicaid had been so mangled. Still, I believe that throwing the baby (the ACA) out with the bathwater (government officials) would be a huge mistake. Health care costs will continue to rise with or without the law's implementation, consuming an ever greater chunk of the struggling U.S. economy and causing government budgets to run into the red regardless of any future grand bargains on taxes and spending. The status quo stinks, and doing nothing is not an option. Some of my physician colleagues have argued that the major problem in medicine today is that restrictive insurance companies and armies of utilization reviewers have curtailed our independence. Return decision-making power to doctors, they argue, and the system will run more efficiently. When surveyed recently about who had "major responsibility" to control health care costs, U.S. doctors called out trial lawyers, insurance companies, hospitals, drug and device manufacturers, and patients. Only one in three pointed the finger at themselves. So how do all these tests come to be ordered for healthy women who come in only for an annual gynecology exam? The answer is that someone ... checked off all those boxes on the order form. When I was in training, our attendings would ask a standard quiz question: “What is the biggest driver of health care costs in the hospital?” Answer: the physician's pen. A mouse or a keyboard, rather than a pen, now drives the spending, but we physicians and our staff are responsible for ordering these unnecessary tests and hence responsible for the huge bills our patients are receiving. We need to teach medical students and residents to see [good financial stewardship] as an important aspect of their responsibility to their patients. Furthermore, we need to advocate for a system in which information about the cost and benefit of diagnostic tests is readily available to patients and providers at the point of care. If we fail to do so, we risk not only our patients' pocketbooks but also the gains we have made against cervical cancer and many other conditions. We contribute to spiraling health care costs and are doing real harm. Not long ago, I attended the Shining Knight Gala, a fundraising dinner that benefited the trauma surgery and injury prevention programs at Virginia Commonwealth University Medical Center. The highlight of the evening was the dramatic presentation of the story of a young man who had suffered severe, life-threatening injuries in a car accident and, through the skill and dedication of first responders and the VCU trauma and rehabilitation professionals, was stabilized and over several months gradually restored to health. In recognition of their extraordinary efforts, all of the clinicians involved in this young man's care were awarded the "Order of the Shining Knight." As fire fighters, emergency medical technicians, emergency room physicians and nurses, trauma surgeons, and rehabilitation specialists trooped on to the stage to shake Virginia Governor Bob McDonnell's hand and pose for photos with their award (while their patient looked on happily from a nearby table), it was impossible not to be deeply moved. It struck me later that there is no primary care analogy for what I witnessed that evening. General internists will not have the satisfaction of being recognized for the patients who didn't have heart attacks or strokes because of the blood pressure medications or aspirin they prescribed; family physicians and pediatricians won't be given awards of merit for all the children they "saved" from measles, mumps, polio, and a host of other vaccine-preventable diseases. While primary care physicians certainly provide acute care services for a variety of ailments, the greatest impact of our work is ultimately unmeasurable: all of the poor health outcomes that might have happened, but didn't. Does this mean that there are no heroic family doctors? Far from it, but recognizing our behind-the-scenes efforts - and reinforcing the appeal of the primary care specialties to medical students - is certainly more challenging. But I'm cautiously optimistic that the past few years' Residency Match results, which showed modest increases in the numbers of U.S. graduates choosing residency programs in family medicine, general internal medicine and pediatrics, represent a turning of the corner. With the millions of people expected to gain health insurance over the next year, this country will need every primary care clinician it can get. 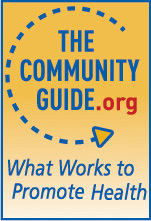 This post originally appeared on Common Sense Family Doctor on April 1, 2010. 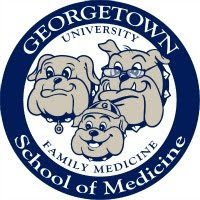 I am re-posting it in belated recognition of National Primary Care Week, which Georgetown is celebrating with a series of Family Medicine Interest Group events led by several outstanding physician colleagues. A few years ago, I served for several weeks on a grand jury for the Superior Court of the District of Columbia. Mine was designated a RIP (Rapid Indictment Protocol) jury, assigned to efficiently hand down indictments for small drug-related offenses. These cases usually involved undercover officers posing as customers making purchases from street dealers, or uniformed police stopping suspicious vehicles and searching them for drugs. Although rarely we heard testimony about defendants caught with thousands of dollars of contraband, the vast majority of offenses were possession of small amounts of marijuana, heroin, or cocaine for "personal use." Many of the latter defendants had multiple such offenses, which had resulted in probation, "stay away" orders (court orders to avoid certain neighborhoods where drugs were highly trafficked), or brief stints in jail. Few, if any, had received medical treatment for their addictions. After a few weeks of hearing these cases, my fellow jurors and I grew increasingly frustrated with this state of affairs. We felt like cogs in a bureaucratic machine, fulfilling a required service but making little difference in anyone's lives. A young man or woman caught using drugs would inevitably return to the street, violate the terms of his or her probation or "stay away" order, and be dragged before our grand jury again for a new indictment. We openly challenged the assistant district's attorneys about the futility of the process. They would just shrug their shoulders and tell us that was the way things were, and it wasn't our job to come up with a better strategy for dealing with illegal drug use. True enough, but then again, whose job was it? An article by Michael Specter in the October 17, 2011 issue of the New Yorker reported on the recent experience of Portugal in decriminalizing personal drug use. To an American physician accustomed to our endless war on drugs, what Portuguese authorities did was hard to imagine: "For people caught with no more than a ten-day supply of marijuana, heroin, ecstasy, cocaine, or crystal methamphetamine - anything, really - there would be no arrests, no prosecutions, no prison sentences. Dealers are still sent to prison, or fined, or both, but, for the past decade, Portugal has treated drug abuse solely as a public-health issue." Rather than being paraded before grand juries for ritual convictions, people caught using drugs in Portugal are instead summoned before a 3-person panel (a judge, doctor, and psychologist or social worker) and assigned to counseling and medical treatment for their addictions. A slightly different version of this post first appeared on Common Sense Family Doctor on November 8, 2011. 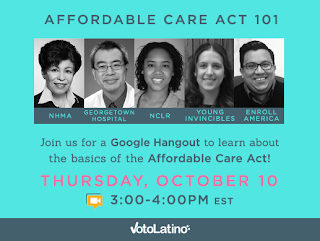 This Thursday, October 10th, from 3-4 PM Eastern, I will be participating as an invited panelist in a Google Hangout sponsored by Voto Latino. Please join me and representatives from the National Hispanic Medical Association, National Council of La Raza, Young Invincibles, and Enroll America as we discuss the implications of the Affordable Care Act for the health and health care of Latino Americans. 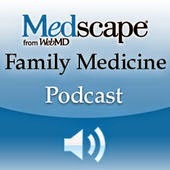 What can family medicine in the U.S. learn from the organization of primary care in other Western countries? 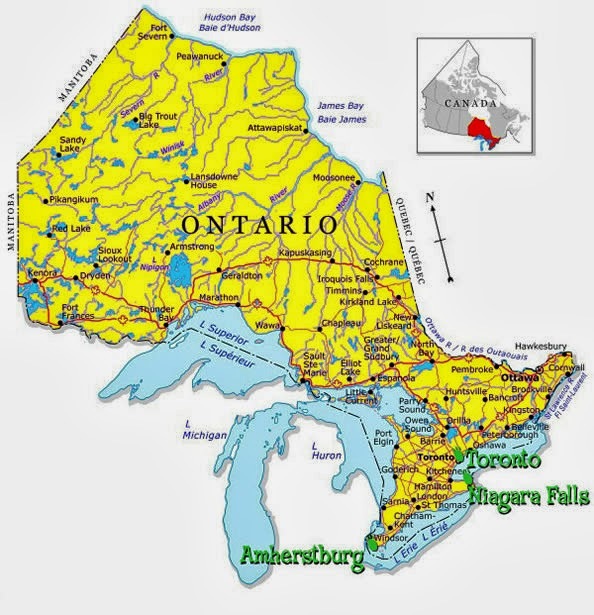 In this month's Georgetown University Health Policy Seminar, we explored two recent studies that shed light on successes and challenges of primary care reforms in Ontario, Canada and the European Union. Starting in 2000, policymakers in Ontario implemented a primary care reform strategy based on five national objectives, which are strikingly similar to many proposed U.S. reforms: "1) increasing access to primary care organizations that would provide a defined set of services to a defined population; 2) increasing emphasis on health promotion, disease and injury prevention, and chronic disease management; 3) expanding all-day, every-day access to essential services; 4) establishing interdisciplinary primary care teams; and 5) facilitating coordination and integration with other health services." As a result, an almost entirely fee-for-service primary care system was gradually replaced with a mixture of salary-based, capitation-based, and blended fee-for-service payment models by 2012. Far from being demoralized by the rapid changes, Ontario primary care physicians actually reported increasing satisfaction during this transition period. Another study in the same issue of Health Affairs analyzed associations between the strength of primary care systems in 31 European countries, national health expenditures, and measures of population health. The study found that countries with more robust primary care had lower hospitalization rates and less socioeconomic inequality in self-rated health, in addition to better chronic disease outcomes. However, these advantages came at the cost of higher baseline health care spending, though spending growth appeared to be slower in countries with a comprehensive primary care bedrock. What lessons should U.S. policymakers take home from this research?